We’re fortunate to have 2 members of the Chapin/Irmo community offer themselves for his very important seat in the South Carolina Senate! 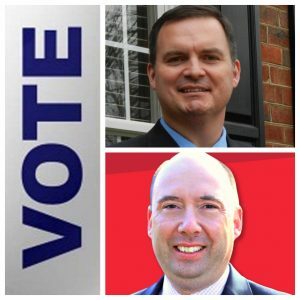 Chapin’s Christian Stegmaier (bottom) and Irmo’s Benjamin Dunn (top) are two of four candidates in the Republican Primary for Senate District 20. There are three candidates in the Democratic Primary. No matter your party; please be sure to take time to vote on August 14th! THERE WILL BE NO LINES!! !